Obviously, in order to get to these outer realms of creation where 4/4 time signatures are the exception instead of the norm, one must travel at light speed and the first tune, "Meeting of the Spirits," attains that velocity in a hurry. I must pause here to point out that even though this music is, at times, maniacal and unconventional it's also lyrical and melodic between the intense individual solos so it's by no means just a jumble of indecipherable notes. In other words, it's quite accessible and that's just one of its many charms. "Dawn" slows the pace for a moment as if we've reached our destination but soon we begin to explore our surroundings and the tempo picks up once again. "The Noonward Race" is noisy at first and faster than a speeding bullet but there are planned, structured musical phrases interspersed throughout the song. 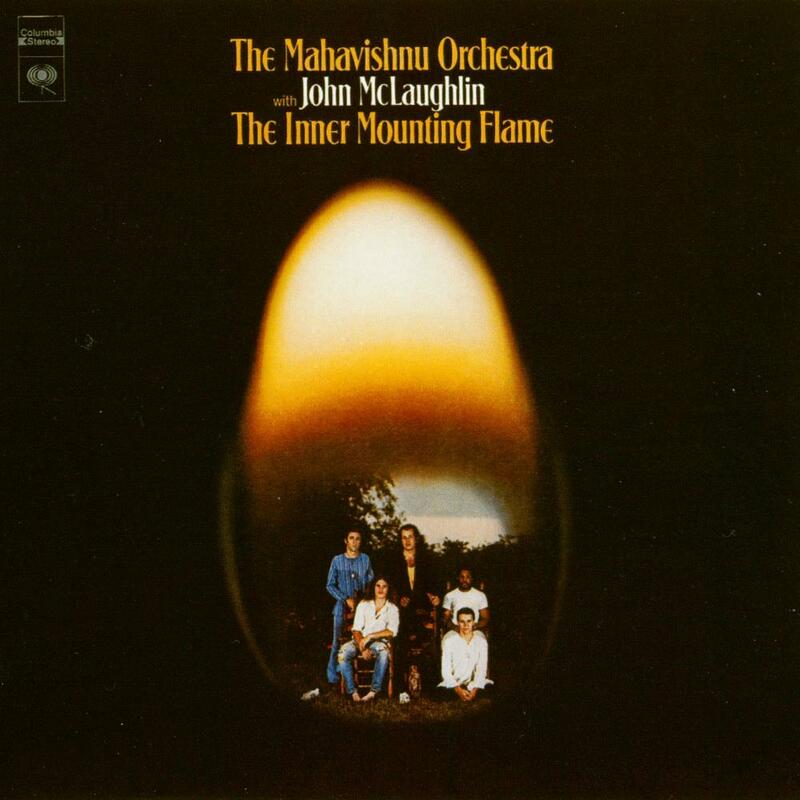 The rapid-fire interplay between guitarist John McLaughlin and drummer Billy Cobham is incredible. By now the listener could use a rest and "A Lotus on Irish Streams" is as welcome as an oasis in the arid desert. Jan Hammer's piano, Jerry Goodman's violin and McLaughlin's acoustic guitar create a beautiful and peaceful atmosphere. Insane, adrenalized drums from Cobham begin "Vital Transformation" where a recurring ascending melody is played between solos that whiz by your head like renegade comets. "The Dance of Maya" starts with a theme that would fit perfectly at the start of a mutant monster movie but then it morphs into (believe it or not) a Chuck Berry style rock and roll pattern where Goodman turns in a hot violin lead. Then, amazingly, the original theme comes back and is played simultaneously on top of the rock and roll. I would designate it as my favorite cut if it weren't for the next one, the slower "You Know You Know," which also floors me. It's a simple repeating riff with a long 15/4 measure in between where all kinds of interesting things happen. Billy's drum fills are spectacularly tasteful. The last tune, "Awakening," feels as if the whole band got sucked into a black hole because they reach speeds that were heretofore unattainable. However, it was necessary in order to get us back to earth. As I intimated earlier, this ain't for everybody and even the most courageous among you might find this far too busy and off the beaten path to tolerate for even five minutes. I understand. I, more often than not, am more comfortable listening to tunes that are relaxing and pleasant but from time to time I need to take a walk on the wild side and that's when albums like this one are called for. I am absolutely blown away every time I hear "Inner Mounting Flame" and consider it to be a magnificent achievement by this group that is only surpassed by their next offering, "Birds of Fire."